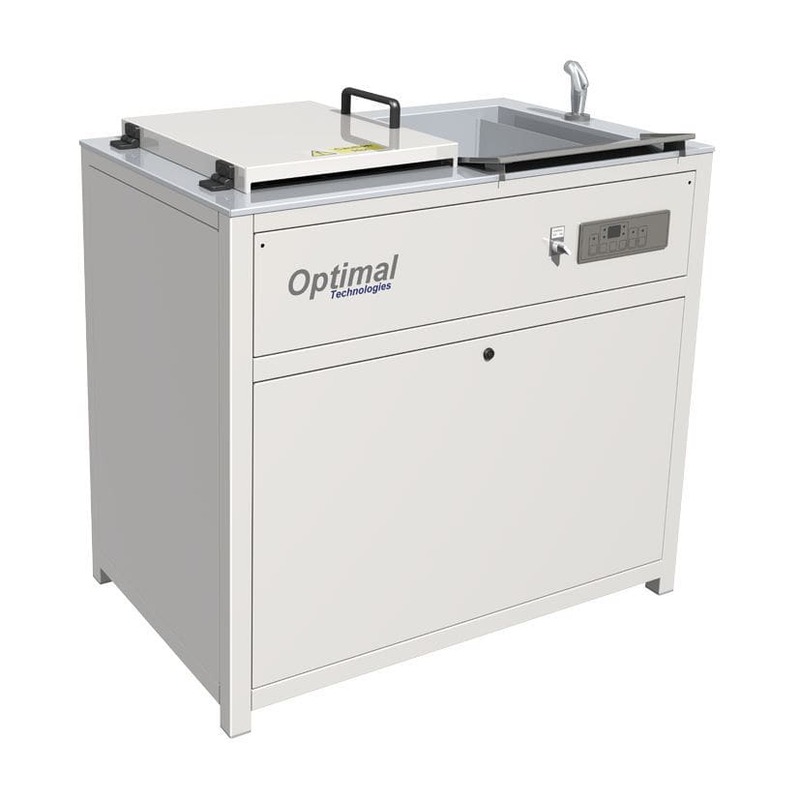 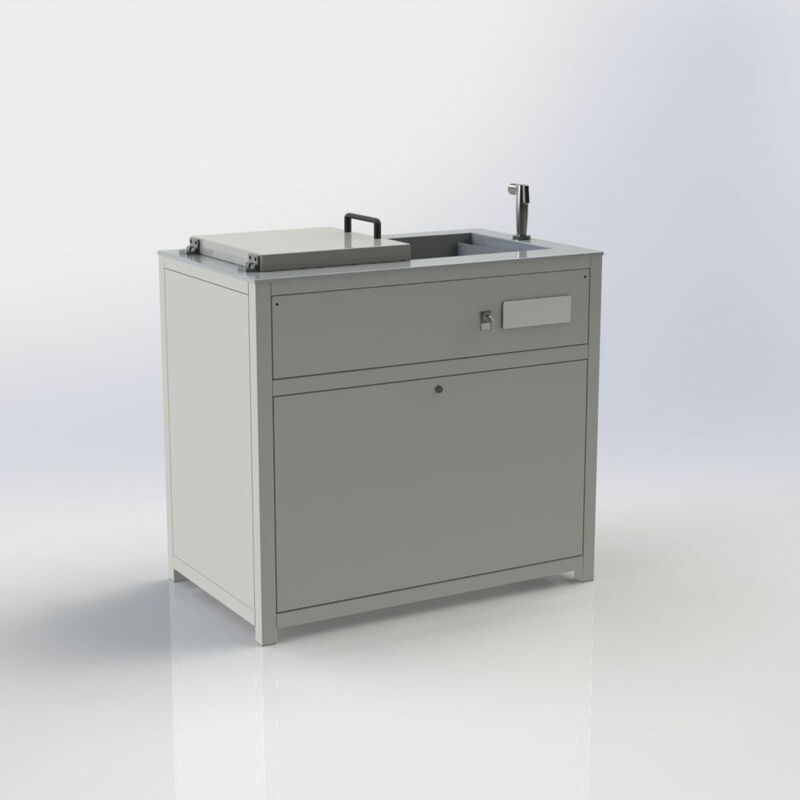 Fabricated from stainless steel this unit is designed to be free standing in a laboratory. 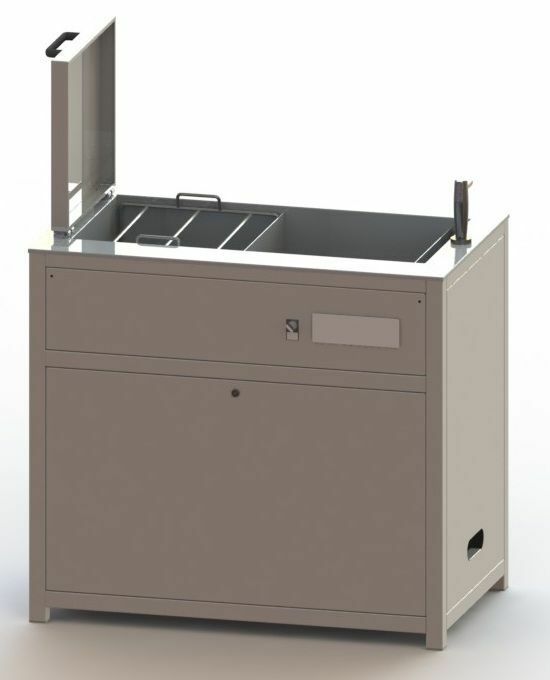 It will match the height and width of most laboratory units and stands 900mm high and 600mm front to back. A hand help trigger operated spray is fitted for lens rinsing.